New Century Resources has identified potential to extend the mine life and increase production at the Century zinc mine in Queensland. The company, which plans to restart production at Century this year, has defined a new indicated mineral resource at the mine’s South Block deposit. The South Block resource includes 6.1 million tonnes (Mt) at 6.8 per cent zinc and lead, containing 322,000t zinc, 90,000t lead and 8.5 million ounces (Moz) silver. New Century reported it was well advanced in assessing the potential at South Block, with preliminary metallurgical testwork demonstrating recoveries of up to 82 per cent zinc, 85 per cent lead and 83 per cent silver through the Century processing plant. 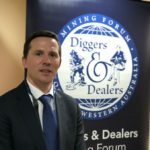 “The initial assessment has demonstrated the potential for inclusion of South Block into the planned operations of the mine,” the company said in an ASX announcement. New Century aims to initiate the expansion feasibility study during the second quarter of 2018. 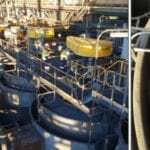 The operation’s total indicated and inferred resources are now 9.3Mt at 10.8 per cent zinc and lead, containing 568,000t zinc, 433,000t lead and 19.9Moz silver. New Century secured $US45 million ($58 million) in funding for the restart of the Century mine last October.